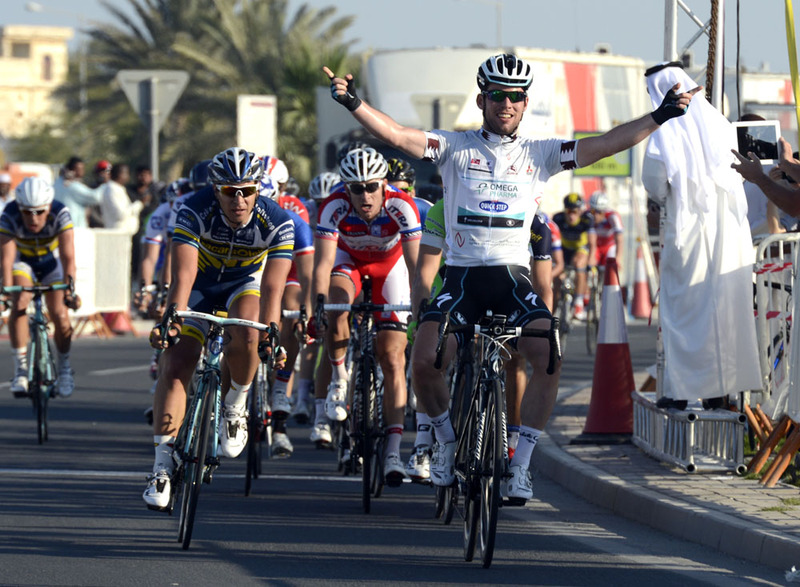 Mark Cavendish (Omega Pharma-Quick-Step) won his second consecutive stage of the Tour of Qatar to take the leader’s golden jersey from Brent Bookwalter (BMC). The race does seem, nevertheless, to be shaping up nicely for Cavendish. With only flat, desert roads, it is the wind that usually proves decisive at the Tour of Qatar, but the average speed on Wednesday – just under 46kph – testified to the calm, fast conditions which are also expected for the final two days. A three-man break, containing Pirmin Lang (IAM), Gatis Smukulis (Katusha) and Andriy Grivko (Astana) was away for most of the stage, building a seven-minute lead at one point, but it was one that was always going to end in a bunch sprint. Cavendish’s OPQS team were prominent at the front, but so were other teams towards the end, including Team Sky, Argos-Shimano, Astana and Vacansoleil, whose confidence in their young Dutch sprinter, Barry Markus, was high following his second place behind Cavendish the previous day. A pile-up in the final kilometre claimed 15 riders, with Koen de Koert (Argos) taken to hospital with a suspected broken collarbone. As on the previous day, Cavendish was initially nowhere to be seen, but he emerged from the mass of bodies to take an easy win, with Markus once again second and Andrea Guardini (Astana) third. 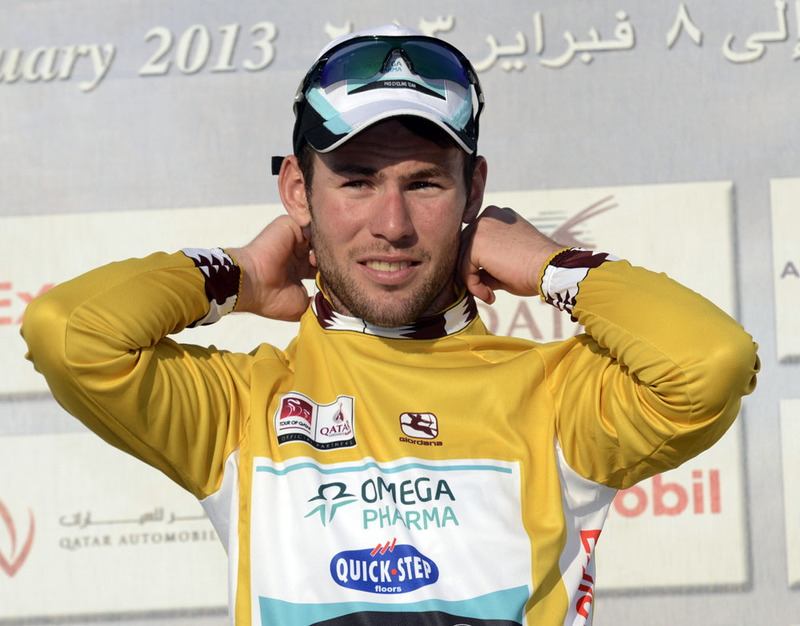 Cavendish admitted he almost lost his teammates in the closing stages. “I always had the guys with me,” he said. “I had Guillaume Van Keirsbulck) looking after me until about 5k to go, then I had [Zdenek] Stybar took me and Matteo [Trentin] look after me in the final kms. “Matteo did a perfect job keeping me up there until the roundabout, but coming into the roundabout he went round the outside of a guy who was coming back, then he was looking for a team jersey, but I was in the silver jersey [of points leader],” Cavendish continued. Cavendish now leads overall from Bookwalter with his BMC teammates Taylor Phinney and Adam Blythe third and fourth, all within nine seconds of the race leader.